This statistic presents the share of retail e-commerce traffic in North America referred by leading social media as of the first half of 2016. 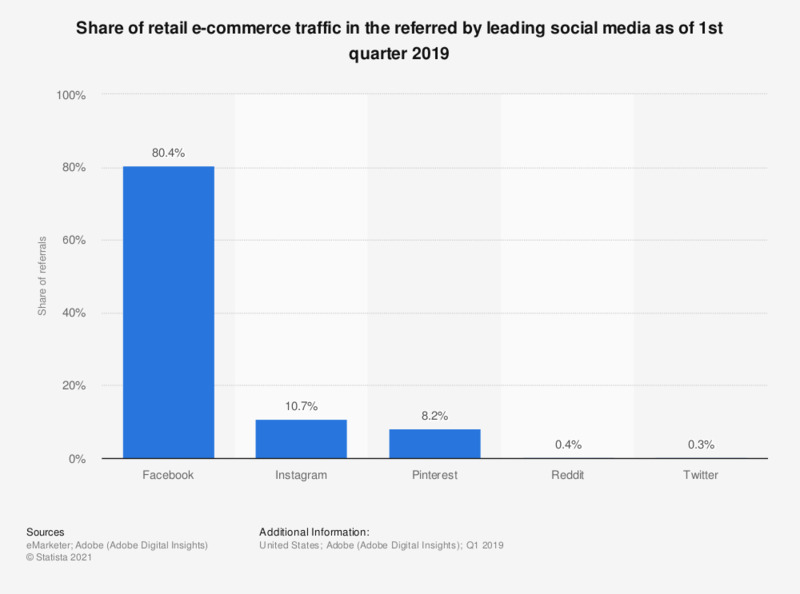 During the measured period, 68 percent of social media referral traffic to e-commerce websites was generated through Facebook. Majority of retailers analyzed were Canada-based.